This trash was collected from the Delaware River by crews working with Living Lands and Waters in late August, early September. 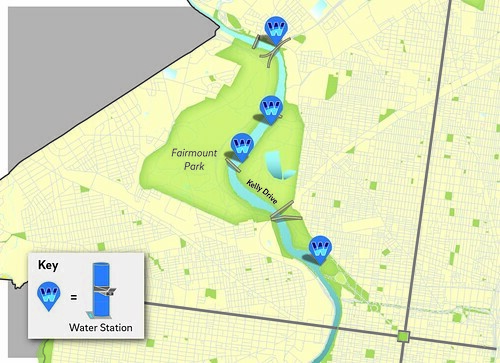 Credit: Philadelphia Water. Living Lands and Waters, an Illinois-based non-profit dedicated to cleaning up America’s rivers, spent the end of the summer on the Delaware River. And they found lots and lots of trash. In a cleanup effort that lasted from August 20 to September 2, LL&W travelled up and down the river in a pair of boats designed for collecting trash. Philadelphia Water took part in the effort, and one of the most striking aspects of the cleanup was just how many plastic bottles litter the banks of our biggest river. Nearly every foot of the shoreline near the Betsy Ross Bridge contained numerous plastic bottles, and only the infuriatingly hard to collect debris left behind by Styrofoam coffee cups came close to outnumbering this form of trash. If anyone participating in that effort wasn’t an advocate for reusable water bottles and coffee mugs, they surely are now. Click here to see some photos (including some of a pickup truck literally overflowing with collected plastic bottles) from one of the cleanups with Philadelphia Water.